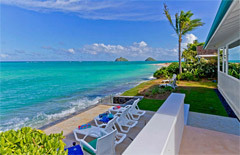 Lanikai, Oahu – Lanikai is located on the windward side of Oahu and is considered by many Oahu residents to be the best swimming beach in Hawaii. 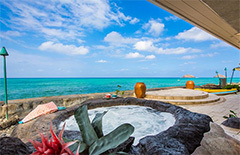 Two majistical islands "The Mokulua Islands" lie offshore offering a picturesque background while enjoying the crystal clear, calm waters. The larger of the two "Mokes" or Twin Islands is a popular destination for boaters and kayakers. 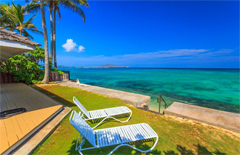 It is one of the few off shore islands in Hawaii with a beach where people can land, swim and picnic. 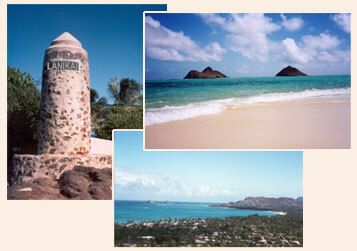 Lanikai’s waters are protected by off shore reefs, offering safe swimming year round. This quiet community has a one-way loop including a bike trail for outdoor activists. 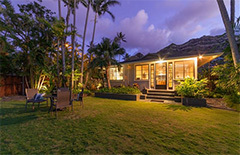 Enjoy a relaxing walk or jog in the morning after watching the spectacular sunrise. *Request property description for further details. © Copyright 2019 All Rights Reserved. 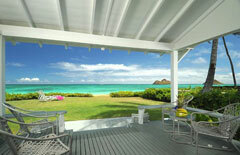 Paradise Hideaways LLC.